1. A hard reset will restore your device to factory default settings. You should reconfigure the device from scratch or you can load the configuration file you have backed up before the reset. 2. For these models, we could see WPS/RESET button on the rear panel/the Front Panel. 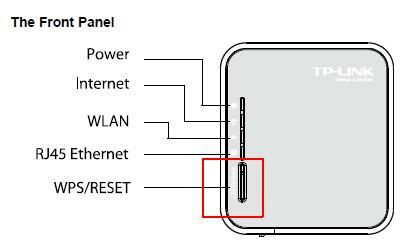 To use WPS function, please push the button for less than 5 seconds, and then the WPS LED will flash; to reset the router, please push the button for at least 10 seconds. With the Router powered on, press and hold the WPS/RESET button (more than 10 seconds) until the SYS LED becomes quick-flash from slow-flash. Then release the button and wait the Router to reboot to its factory default settings. If you are on the management page, you could use the Factory Defaults function. 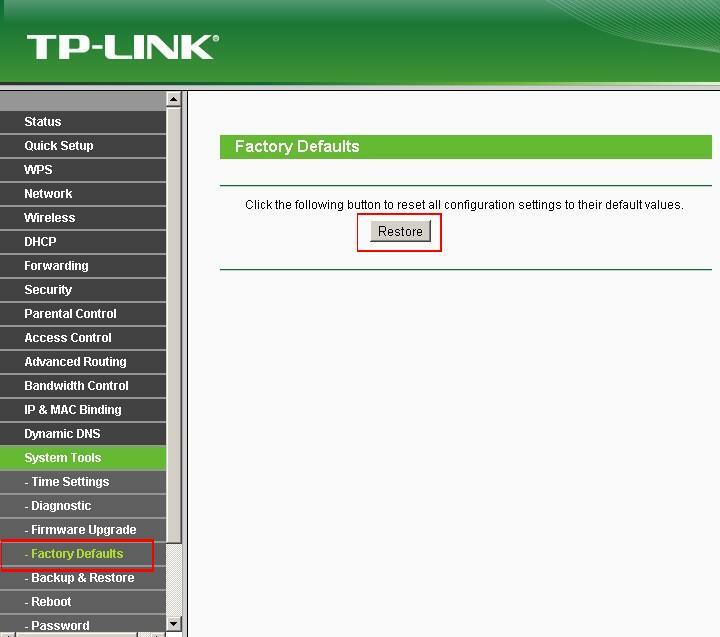 Please go to System Tools -> Factory Defaults” page, then click on the restore button and wait the Router to reboot to its factory default settings. 2. The default IP address/domain name can be found at the bottom label of the product, and the default login username and password both are admin (all lower case).